There might not be another human being on earth more passionate about recruiting than Michigan Head Football Coach Jim Harbaugh. Harbaugh, who lives his life by the mantra “attack each day with an enthusiasm unknown to mankind,” has a…unique personality. A man known for pleated khakis and sideline histrionics (along with being an exceptional football coach), he’ll go to any length to recruit high school athletes to come play for the University of Michigan. What lengths, exactly? Well, he has climbed a tree, baked cakes, put together one of the most star-studded onboarding sessions in history and went over to a high school kid’s house in sweatpants for a sleepover. What makes Harbaugh’s style particularly noteworthy is that the majority of college football coaches have the exact opposite persona. Generally, most are perceived as the tough, hard-nosed, no-nonsense types you see in the movies, who would never allow themselves to be photographed running around shirtless, for example. But Harbaugh’s methods are working. Within a year of taking the Michigan job, he already has brought the historically great football team out of one of its worst funks, and back into national prominence. And, this year ESPN ranked his recruiting class the sixth-best in the country, ahead of stalwarts like Notre Dame, USC and instate rival Michigan State. What’s this all have to do with the business world and corporate talent acquisition teams? Everything. Because Harbaugh is proving that you don’t have to do things the way they’ve always been done to be successful, regardless of what field you're in. He’s proving that to reach a new audience, you have to speak their language, not yours. And also, he’s proving that sometimes, there’s no substitute for unbridled enthusiasm. I know, a lot of you probably could care less about American college football. But here’s the basics: Michigan football is among the nation’s most storied programs, racking up the most wins of all-time and having the second-best winning percentage of all-time, just behind Notre Dame. 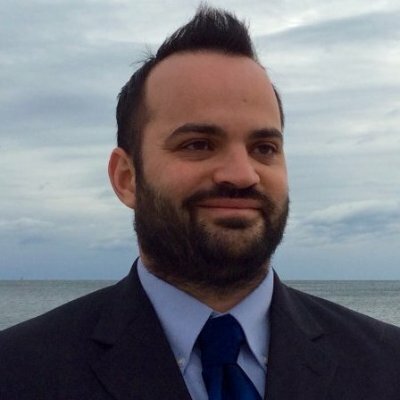 But, in the seven years before Harbaugh got there, the team went through one of its worst stretches in its history, suffering more losses in those seven years than they had in the previous 13. In Harbaugh’s first year in 2015 though, Michigan amassed an impressive 10-3 record, and his team is expected to improve off that this year. Of course, a big part of being good at college football is getting the best high school athletes to attend your college. Hence, often the best coaches are the best recruiters, who can bring in that great talent (not unlike how the best companies are often the ones who are the best at recruiting). Then came the sleepovers. Basically all other coaches will just spend an afternoon or two at a high school athlete’s house and try to close them in that time. Not Harbaugh. 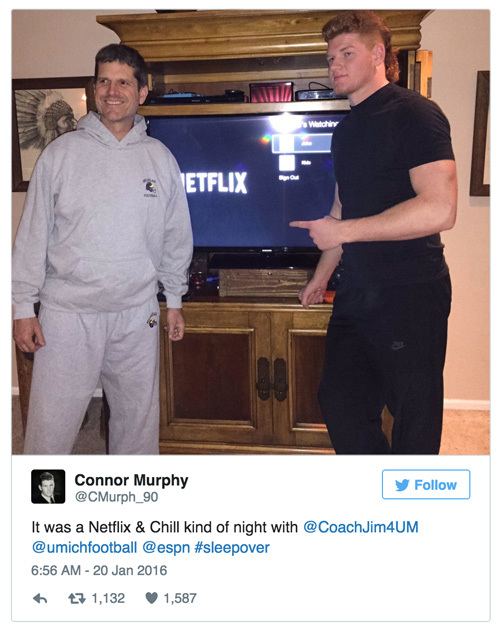 Twice, Harbaugh actually slept over a prospect’s house, packing his pair of sweatpants and enjoying some late-night Netflix. Harbaugh has baked cakes to try to land prospects. He gets ice cream with them. One sought-after high school athlete asked the Twitter-verse if anyone would go to prom with him, and Harbaugh said yes, so long as the athlete went to Michigan. And then there’s Harbaugh’s creation, “Signing of the Stars.” A lot of companies (perhaps yours included) often have a day or two of onboarding training for new hires, which is usually both fun and informative. Well, college football teams do the same thing for their recruits, except generally they are low-key affairs that the media doesn’t attend. Not at Michigan. Harbaugh made his into an event entitled “Signing of the Stars,” and brought in celebrities like Derek Jeter, Tom Brady and former wrestling champion Ric Flair to attend. The reaction by the college football community to Harbaugh’s antics seems to be mild-to-moderate annoyance. But he doesn’t care, and it’s working so far, as he continues to rebuild Michigan into a championship-level football team. Obviously, Harbaugh works in a different space than most corporate recruiters, but the general principles are the same. Harbaugh has to get the right talent for his football team to win games, just like any company needs the right talent to win as well. Some might mock him or be annoyed by his antics, but Harbaugh appears to care less about that. All he cares about is doing the best job he can, and bringing in people he legitimately cares about who will help accomplish his goals with him. The lesson from all this? If you want to change the culture of your company, you can’t do things the way they’ve always been done simply because it is the safe way to go. Instead, you have to understand the mindset and interests of your targets, and adapt your approach accordingly. Harbaugh is courting high school students, and that means sleepovers, Snapchat and dabbing; instead of acting like the gruff football coaches everyone expects. Your targets probably care about other things. But, if you do want to recruit recent college graduates, for example, the best way to do that is to appeal to their interests, rather than expecting them to appeal to yours. Secondly, and just as importantly, passion matters. That sounds cliché, but Harbaugh proves that if you really love what you do and are committed to the cause, you’ll do anything to make it happen. When hiring, look for those people who truly care, beyond just a paycheck. And, in your own professional life, find something about recruiting (if you haven’t already) that you truly love, which gets you legitimately excited to come to work every day. 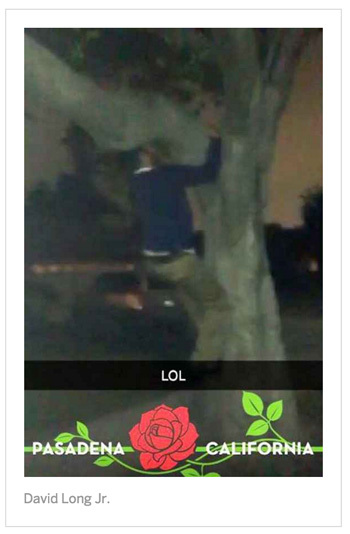 Even if that takes you to the top of a tree.